Product prices and availability are accurate as of 2019-03-10 03:40:39 EDT and are subject to change. Any price and availability information displayed on http://www.amazon.com/ at the time of purchase will apply to the purchase of this product. 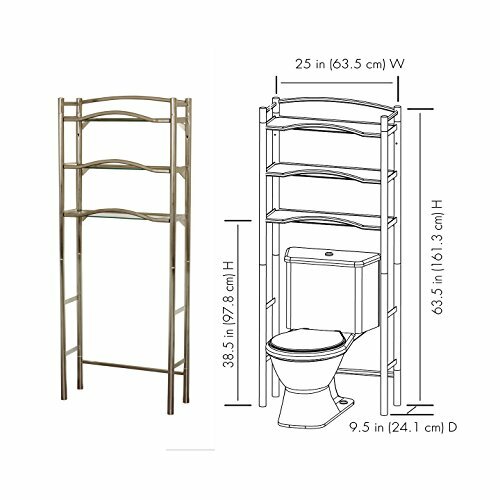 If you require extra shelving but don't want to sacrifice your valuable floor space, Zenith's Extended Height No Tools Spacesaver is the perfect choice for your bathroom. 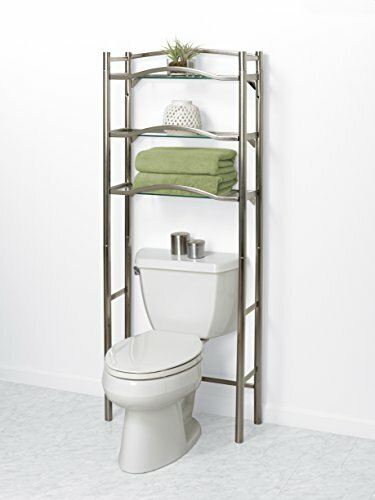 Designed for modern toilets, this extra tall unit fits commodes up to 38 in. H. Featuring robust 1-1/4 in. 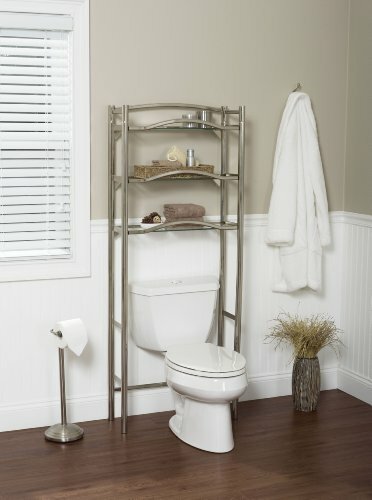 diameter leg tubes and a bold curved front bar, this spacesaver provides stylish, clean appeal to any bathroom. Assembly is made easy using the patented Slide-Fit assembly where shelves are secured by a simple push. With its 3 tempered glass shelves, never again will you need to balance smaller items on klutzy wire shelves. Steel frame and glass shelves clean easily with a damp cloth. Easy to follow, step-by-step instructions included. Zenith's toll-free USA based Customer Service department is available (800-892-3986) to answer any additional questions.